Galicia is one of Spain's best kept secrets. It's often overlooked because of its wet climate but it's actually the weather and location in the northwest of Spain which make Galicia so unique. There is a plethora points of interest from castles or cathedrals to one-of-a-kind beaches, green landscapes and Celtic influenced festivals... 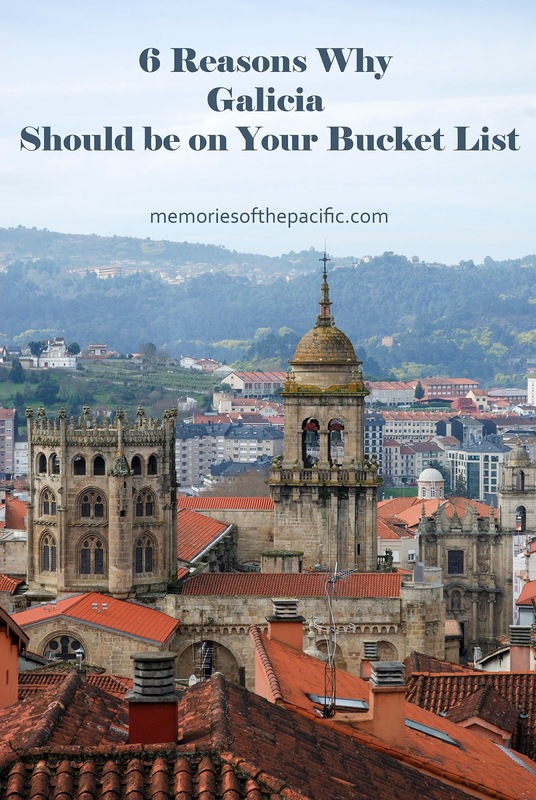 There are plenty of reasons why magical Galicia should be on your holiday destinations bucket list and I'm unveiling a few of those on this post. weather: Spaniards often see Galicia as the rainy region. It rains an average of 90-120 days every year. If you want to get the best weather possible, visit Galicia in summer. location: it's on the far end of north western Spain and bordered by Portugal to the south, regions of Castilla y Leon and Asturias to the east, the Atlantic Ocean to the west, and the Cantabrian Sea to the north. there are four main cities: A Coruña, Lugo, Ourense and Pontevedra. language: both Galician and Spanish are official and widely used. Galician is a Romance language closely related to Portuguese. 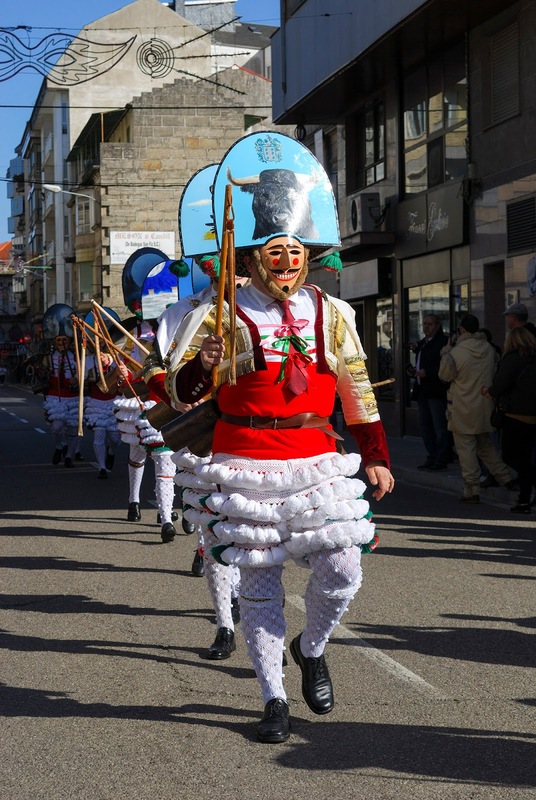 religion: the patron saint of Galicia is Saint James. According to Catholic tradition, his body was discovered in 814 near Compostela. After that date, the relics of Saint James attracted an extraordinary number of pilgrims. Even to this day, hundreds of thousands of pilgrims follow Camino de Santiago (Saint James's Way) to the cathedral of Santiago de Compostela every year. how to get there: it takes about 5 hours to drive from Madrid to Galicia on motorway A-6. camelia is the flower of Galicia. 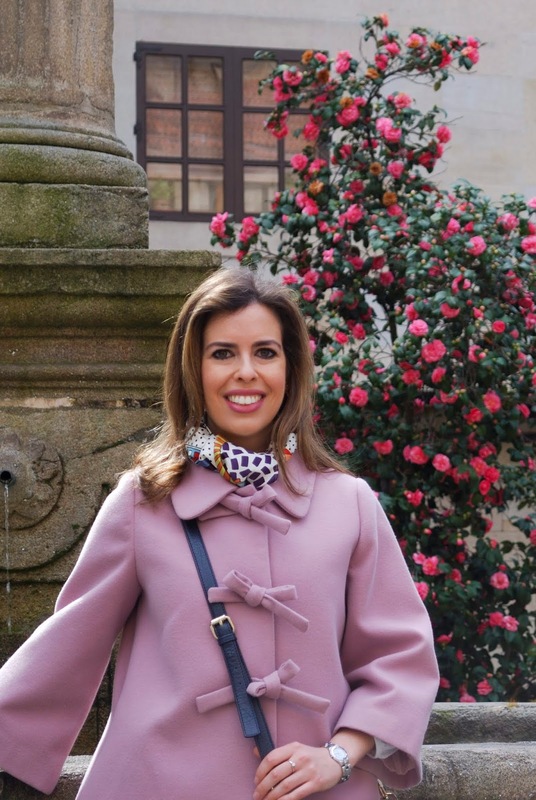 In the west coast of Galicia you can follow La Ruta de las Camelias, a trail that will lead you through several pazos -country manors typical of Galicia- and gardens. people: galician people are believed to be friendly and kind. I don't like generalizing, there are nice and rude people everywhere, but our experience there was very positive so I thought I should mention that. Celtic tradition: Galicia is home to ancient relics and pagan myths linked to Celtic ones found in Scotland and Ireland. Galician language also contains a significant amount of words of Celtic origin. And now, here are the reasons why Galicia should be on your bucket list. As a foodie, gastronomy had to be my #1 reason. Every Spanish region has different delicacies very related to the climate. For instance, in the north you will find heartier dishes than in the south to bear the cold. Local dishes in Galicia include empanada gallega -a savoury pastry stuffed with tuna, pork or vegetables- and pulpo a la gallega -boiled octopus served with paprika, potatoes, salt and olive oil. In these photos you can see empanada, lacon -similar to ham- and caldo gallego -a soup with veggies and beans. Popular desserts are Tarta de Santiago -sponge cake made with almonds- and filloas -the texture is similar to a crepe. The amount of heritage in Galicia is impressive. As you know, we are big fans of Paradores and whenever we can we stay at one of their wonderful historic hotels. This time we chose Parador de Monterrei, a lodging built using the remains of a castle on top of the mountain. It has only 12 rooms, which makes it really cozy, a true home away from home. In high season they open Parador de Verin which is really close and has more rooms. 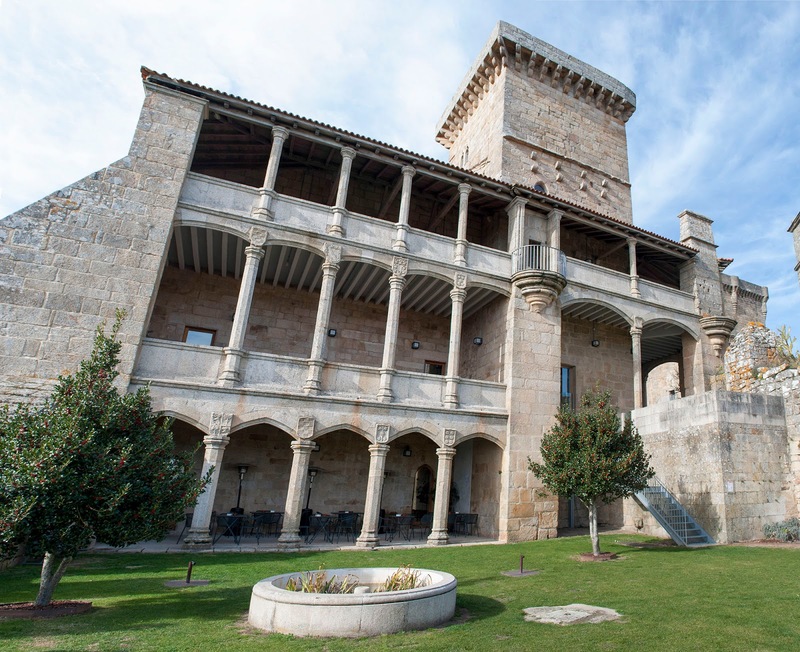 Parador de Monterrei is 60 km from Ourense and next to the town of Verin. It's a good location to spend the night if you are on a road trip around Galicia or if you need a quiet place to rest and relax for a few days. What we loved about this place is that just the Parador is a sight worth seeing. We spent hours going around, exploring every single corner. Apart from the hotel, there's a Romanic church and a tower. Galicia is well known for natural baths such as the Ourense's Thermal Springs which are rumored to heal your skin as well as your body. You can find a public natural bath in the middle of the city of Ourense called As Burgas which you can use all year round. The water is around 30ºC and there's a fountain nearby with reaches 67ºC, if you look closely you can see steam coming from the water in the photo. Maybe Galicia is not your average beach destination. You won't find warm water and lots of people soaking under the sun. However, the beaches in Galicia are spectacular. The most famous one is Playa de las Catedrales, on low tide you can see amazing rock formations that remind you of Cathedral arches. Carnival or entroido as they call it. People in the town of Verin dress as 16th-century Castilian tax collectors with intricate costumes inspired by the colorful clothes of South American shamans. Festival de Ortigueira (Ortigueira's Festival of Celtic World) lasts four days in July. The festival is based on Celtic culture, folk music, and the encounter of different peoples throughout Spain and the world. Festa do marisco (Seafood festival), October, in O Grove. 25th July is St James Day, a holiday in Galicia. If 25th July falls on a Sunday, it will be considered to be a ‘Holy Year’ or Ano Xacobeo. The border with Portugal was only 20km away from Parador de Monterrei so we spent a few hours on the charming town of Chaves. It was built by the Romans around thermal springs and it's worth visiting for its heritage which includes a castle and a Roman bridge. Have you ever heard of Galicia before? When you pack for Galicia, you have to bear in mind the weather. Pack for rainy days and mild temperatures. Also, don't forget your comfiest waterproof shoes! I love the architecture! That area looks amazing! and the food looks super yummy! What a beautiful place! I love the architecture of the buildings over there. They are so majestic! Wow, these photos just take me away! I am a foodie too and I love trying new things when traveling and can I just say delicious?! My hubby and I are thinking about traveling to Portugal this year. I'll mention this to him. Well you have certainly put a new place on the map for me! Love the idea of staying in a castle but also eating that gorgeous tart! I’m Btitish so the weather will definitely never put me off!! What a stunning place! ...you certainly paint an inviting picture of the this colorful place! Thanks for sharing. What a charming place, food looks delish indeed. Also, love your coats dear, so pretty on you! So glad you like it, Erica! I agree, Ruth. They are spectacular! That sounds great, Maureen! Portugal is beautiful too.